Know a devout Apple user? An IQ eGift Card would make for the perfect gift for your techie friends as it is one of the premium retailers for all Apple products carrying an extensive range of iPhones, iPads, iMacs, Macbooks as well as wide variety of exclusive third party Apple accessories. 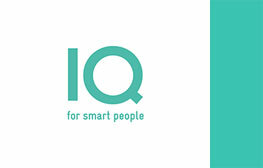 The IQ store opened its door in the Middle East in 2012 providing a range of business-to-business solutions, educational programs as well as pre-and after-sales support and training besides carrying the latest gadgets from Apple. If you are looking to gift a friend who is fanatic about the latest gadgets and electronics like DJ ware, sound systems, headphones and other items that cannot be found anywhere else in the local market, then the IQ eGift card is the perfect solution for you. Your loved ones will be treated to top-notch hospitality from the IQ staff and be provided with the opportunity to test drive the latest offerings from the Apple brand along with in-store training to ensure both, the existing and new users, are comfortable using the gadget efficiently in a customer-friendly and smart environment. Surprise your loved ones this Eid by gifting them the newest models of iPhone 6 and iPhone 6 plus and we’re sure they’re going to love you for it! From Macs to iPhones and accessories, IQ can be your gateway to the best in luxury electronics anywhere in the UAE and the IQ eGift Card can be your ticket to surprise your loved ones on their birthdays or anniversary. Take a look at the official video for iPhone by Apple to know more about iPhone 6 and iPhone 6 Plus models.